It's Not Just Any MBA. It's Your MBA. Your MBA should be about you: your career, your goals and your life. With our Part-time Flex MBA program, you can personalize your experience by choosing from over 50 elective courses, setting your own pace and selecting traditional, online or hybrid courses. Our experienced, engaged faculty provides hands-on learning experiences including group projects, case studies, simulations, guest speakers and practical exercises. The curriculum gives you the breadth you expect in an MBA program, while giving you the freedom to customize the coursework to meet your unique career goals. 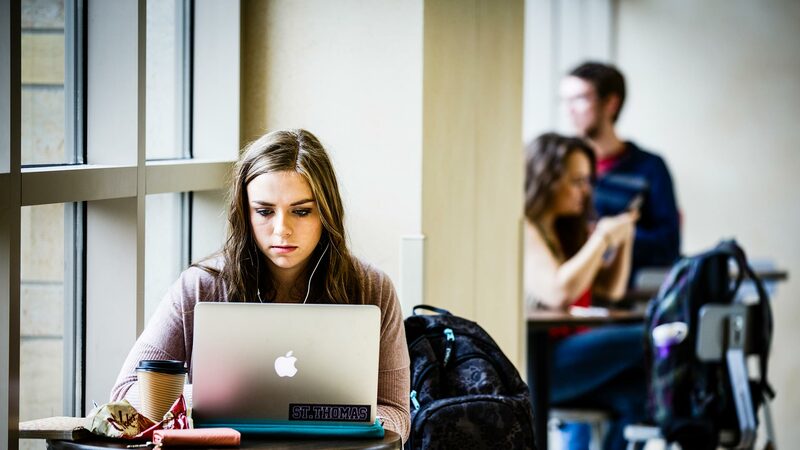 You’ll earn half of your credits in required core classes, and half in electives you select. Choose from traditional and hybrid class formats, and earn an optional graduate certificate to complement your MBA. Work at an accelerated pace, and graduate in just 2.5 years, or take up to seven years to complete your degree. As you balance work, family commitments and your education, the Part-time Flex MBA lets you choose the pace that works well for you. 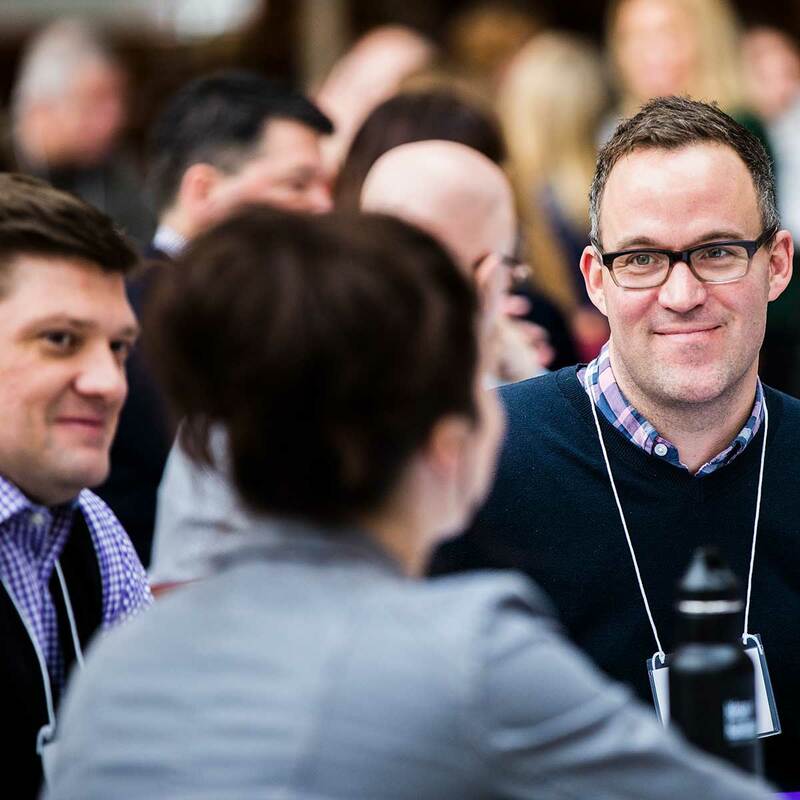 Join our network of more than 18,000 alumni and over 500 MBA students who work in a variety of industries in Minnesota and around the globe. You’ll quickly see why the St. Thomas Part-time Flex MBA was ranked best in Minnesota, because of our focus on our students and our dedication to their success. From your first MBA class, you will begin to develop the knowledge, practical experience and insights to excel in your career. Choose from traditional, online, and hybrid (classroom and online) class formats to earn your Part-time Flex MBA. You can take as few as 2.5 years or up to 7 years to complete your degree. A 45-credit program with half required, half elective classes means you can customize your degree through graduate certificates or electives to maximize your career impact. You’ll take 11 core courses for your Part-time Flex MBA and choose 8 to 12 elective courses to complete the program. Work hard to get your MBA, and it will pay off. After earning a Part-time Flex MBA, St. Thomas graduates and alumni report positive impacts on their careers—from salary increases to promotions and new business ventures. Create a truly customized degree and earn a graduate certificate (4-6 elective courses) while you complete your Part-time Flex MBA. Students develop their leadership skills and competencies sought by employers in a team-based collaborative environment. Listen to students, graduates and faculty speak about what makes this program unique and how the Opus College of Business transformed their lives. 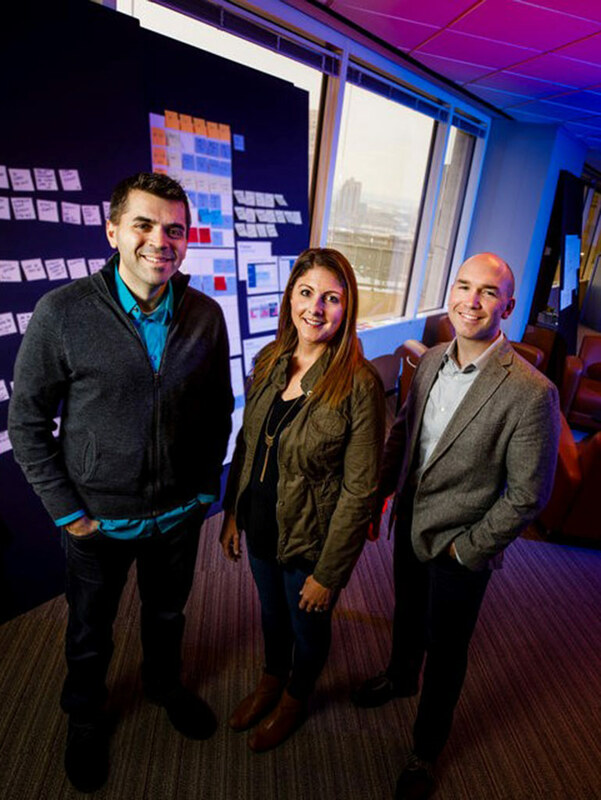 Meet the group of St. Thomas MBA alumni behind U.S. Bank’s innovation team. 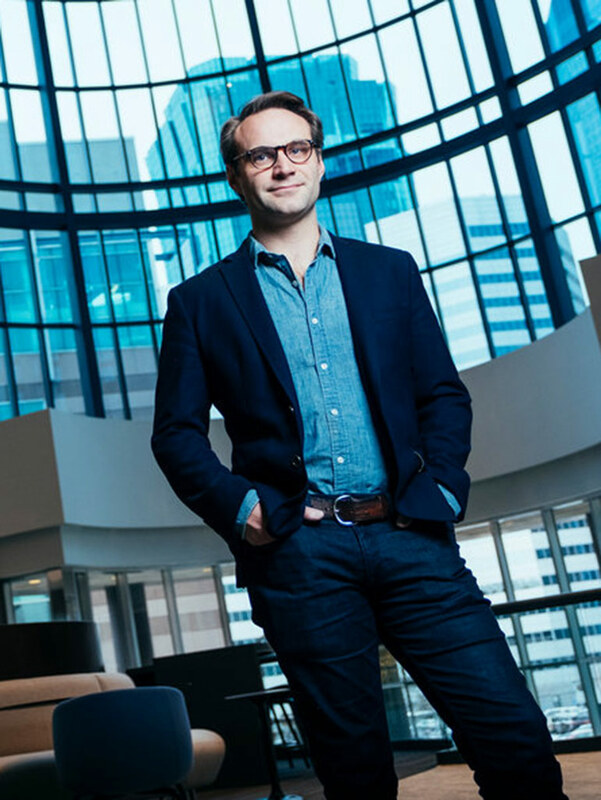 McLean Donnelly uses his MBA in different areas of business, from user experience to digital retail. 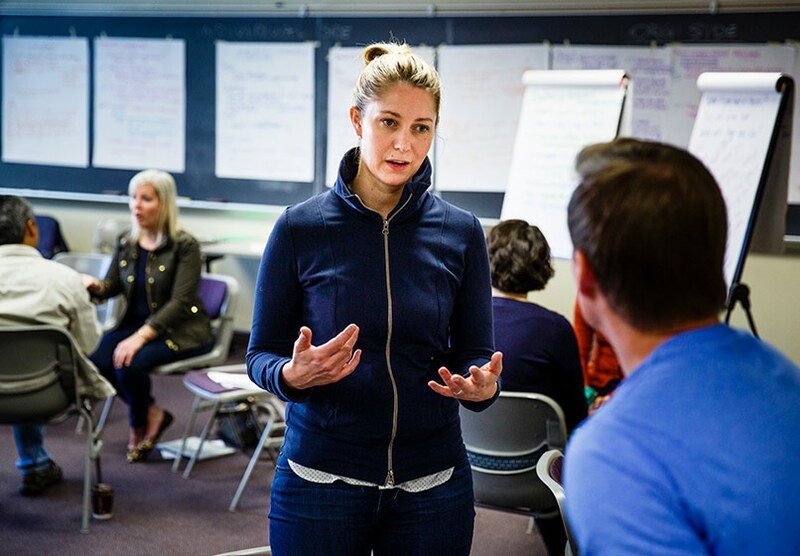 Explore principled leadership in this class, gaining a framework and skillset for developing your ability to make meaningful impact within dynamic and complicated organizations. Develop the key skills and knowledge to apply the entrepreneurial process within the corporate context, identify and evaluate new opportunities, and transform innovations into profitable businesses. Learn how the functions (finance, marketing, HR, etc.) are aligned with business-level strategy to support the mission, goals and objectives of a firm. Examine why some industries more profitable than others, and why certain firms consistently outperform others. By bringing the boardroom into the classroom, Prof + Prof helps students connect the course’s theoretical work with a real company’s goals and operations. Prof + Prof is just one of many ways that St. Thomas brings real-world experiences into the classroom. Find out how to apply what you learn in the classroom to a real-world business setting with our Prof + Prof (Professional + Professor) program. Unique to the Opus College of Business, this innovative course delivery model pairs a St. Thomas professor with a local business professional to teach a course together. St. Thomas Opus College of Business is an incredible place to learn, meet inspiring peers and mentors, and build a strong career path. Don't just take our word for it—experience Opus firsthand. Visit a class, attend an info session, or chat with the admissions team.